In an action involving an accident with an allegedly defective skid steer loader, the plaintiff contended that it was foreseeable that the screens on the sides of the operator's compartment could and would be easily removed, and that an interlock device to cut off power should have been incorporated into the design of the machine to forestall its use without the screens in place or when the operator left the seat. All skid steer loaders are designed so that the lift arms, unlike a forklift, extend from behind the operator's compartment to the front of the machine (See photo). Thus, the compartment is actually between the lift arms putting the operator within a danger zone. In this particular case, there was a history of accidents associated with the use of skid steer loaders, and the side screens were specifically designed to prevent the operator from coming in contact with the lift arms. Unfortunately, the screens in this machine were also designed to be easily removable without the use of any tools. At the time of the accident, the screens had been removed and the operator of the machine in question stood up and leaned out the side of the compartment, at which point he inadvertently activated the lift arms. He was caught between the lift arm and the roof of the operator's compartment and consequently sustained fatal injuries when he was crushed to death. The defendant countered that the accident was caused by the plaintiff’s employer prior removal of the screens and the plaintiff’s negligence in operating the machine without the screens in place, coupled with his failure to heed the warnings on the machine. The goal of the opening was to, at the outset of the trial, shift the focus of the responsibility to the manufacturer to design the machine so as to eliminate an identifiable hazard away from the decedent's failure to obey a clearly visible warning sign stating that the loader should not be operated without the side screens in place since serious injury or death could result. The following is the opening statement in the case by the plaintiffs’ attorney with names eliminated. May it please the Court, each and every member of the jury - fellow counsel. As you may recall my name is (plaintiffs’ attorney) I represent Joan Smith the wife of George Smith. When we last spoke during jury selection I told you we would have the opportunity to give what are known as opening statements and that is of course the opportunity his Honor is now giving us. I submit to you its more than an opportunity - it’s an obligation - it’s an obligation when you come to sit on a case of this importance involving the death of a man of a husband and a father - to tell you what we say the proof will be what the evidence will show. On February 21, 2015 George Smith's life ended. He was 24 years old. He left his wife of 5 years Joan and their son Buddy who was 4 years old. George worked for ABC Company out on Long Island he had worked for them for almost 1 year. He was a welder - ABC was in the industrial waste business - supplied large refuse containers - you've all seen these large green metal containers at construction sites. His job was to repair them - to weld them as part of his job he would use a machine known as a skid steer loader to move the containers into the shop to repair them. On February 21, 2015 George was killed while operating this loader -no dispute about it - He was found in ABC's yard at about noon by a co-worker, Randy Jones. 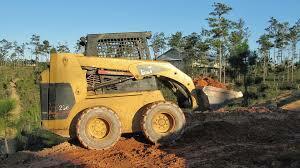 There is no dispute that this skid steer loader was designed and manufactured by XYZ Corp. It was known as a Model 50. You've heard something about how this loader works during jury selection - It has four wheels and the operator sits in a compartment a CAB-ROPS - the loader has lift arms to which a bucket or forks or other type of attachment can be connected - These lift arms extend from the rear of the machine past the operator's compartment on either side to the front of the machine (demonstrating) the loader is controlled by 2 levers-called T-Bar controls in front of the operators seat - one to left controls propulsion and steering and the one to right controls the lift arms or boom as it is called - pull back, arms go up - push forward - go down. This skid steer loader was sold by XYZ to one of its dealers in 2010 and on March 1, 2010 the dealer sold it to a company known as JKY Company for $29,000.00 - JKY was located at 553 Ralph Avenue in Melville, Long Island and on September 1, 2012 JKY transferred ownership of the loader to ABC Company also located at 555 Ralph Avenue - and they owned the loader when George was hired in April 2014. On February 21, 2015 when Randy Jones found George his head and upper chest were protruding from the left side of the operator's compartment. His upper back was against the lift arm. His head and his face were towards the sky and his chest, upper chest was crushed against the cab's roof. Randy lowered the lift arms, positioned George Smith in the seat and he was rushed by ambulance to the hospital but he couldn't be saved. His heart was lacerated and ruptured. There is no dispute that the design of this loader placed the operator between two potential pinch points - the lift arms moving parts which could crush him. You will hear testimony from Eddie Seaver XYZ's design engineer at the time this model loader was made that it was foreseeable that operator's would lean outside the cab enclosure - the ROPS structure while operating the loader. To prevent this foreseeable and predictable action by operator's XYZ equipped the loader with what are known as side screens and Mr. Seaver will tell you that these screens were designed to prevent this predictable and foreseeable action of operators of leaning out the side of the loader. Mr. Seaver will also tell you he knew, he was aware that serious injury or death could result if the loader was operated without side screens in place - no dispute about it. He knew it and he has testified he knew it. Mr. Seaver will tell you that these screens were designed to prevent an operator from leaning out the side of the loader since he knew they did. These screens were designed to be easily removed from the loader without the use of any tools at all - held in place by a latch-pop the latch and out they come - we will further show that the loader was operational with the screens removed - and further - the evidence will be that once removed it was foreseeable and predictable that the screens would never be put back. There is no dispute that the screens were removed from this loader long before George Smith was hired by ABC Company and were not on this loader on February 21, 2015 when he was killed. This loader as designed and sold was not reasonably safe. It was defective and the defective condition caused the death of George Smith. These screens were made and designed to be so simply removed that the proof will be they amounted to no protection at all because it was known that once removed they might never be replaced. This design violated the most basic engineering concept and that is that when you design a machine where the operator is placed in a position where he can be injured or killed by moving parts while using it you take into consideration the fact that it’s going to be used by all types of people and their not going to act as the person who designed the machine or manufactured it might desire them to act 100% of the time. We will prove to you that other manufacturers of skid steer loaders took this into consideration and incorporated what are known as interlocks or kill switches into the design of their loaders like the button in every washer and dryer - open the door - the machine turns off so if your off the seat the loader won't run or if no seatbelt on loader won't run or they welded the screens to the CAB - the proof will be no reason XYZ couldn't do any of these things. I suspect by their pleadings in this case that the defense lawyer on behalf of the defendants is going to get up here and tell you nothing wrong with design of this loader. That George Smith's death was caused by his conduct or by a combination of his conduct and that of his employer, ABC Company. You will hear that there was on this machine something called a safety wing restraint bar system and that the wings were off the machine at the time of the accident. No dispute they were removed before George Smith employed by ABC. The proof will be that this system was not designed to nor would it have prevented a person operating this machine from leaning out the side and being crushed, as George Smith was by the moving life arm. I'm sure you'll also hear that there was a seatbelt in this loader and the assertion will be that he wasn't wearing it. The proof will be the seatbelt was not designed to prevent this type of accident and further the defendants well knew that it might be removed or never worn during operation of the loader. Finally, you will be told that there were warnings on the loader not to use it without the screens in place. Members of the jury every design engineer whose testimony you hear in this case will tell you that warning of a known hazard is the last resort and least effective method of preventing injury from that hazard. Its basic design engineering theory. If the hazard can’t be eliminated then you guard against it causing injury or death. There is not one design engineer who will testify in this case who will tell you George would have been killed had the defendant simply incorporated any of the safety devices I have told you about into the design of this loader. Not one will tell you this could not have been done for a minimal cost. Had they done so none of us would be here today. George would be alive. Buddy would have a father and Joan a husband who was the center of her life. Ask yourself this - shouldn't the real issue in this case be whether this defendant accepts responsibility for this machine which it negligently designed, marketed and sold. George Smith came to this country from Jamaica. He married Joan and as I said they had one child Buddy. In the last full year he worked before he was killed he earned $26,000.00. You will hear detailed proof of what his earnings would have been over the course of his adult life which was just beginning and more importantly what his family has lost. Buddy will grow up without his father and Joan will be left to care for him alone. George was the rock that held this family together and he is gone. Killed because of the negligence of the defendant. George Smith's death has left a scar, a wound upon his family so wide and so deep it shall never heal. At the end of this case I'll have the opportunity to speak with you again and I think its more meaningful at that time since you will have heard all of the evidence and we will be in the same position and I'll be able to discuss that evidence with you. At this time I'm not asking for your judgment - only your concentration and attention to the evidence for which I thank you.